Cyber Monday! Save 25% on select images: prints and merch! Photos make great gifts! 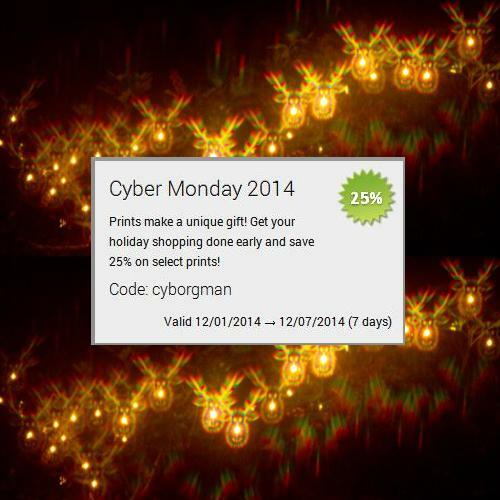 Save 25% on select images now through 12/7 by using code: cyborgman at checkout.